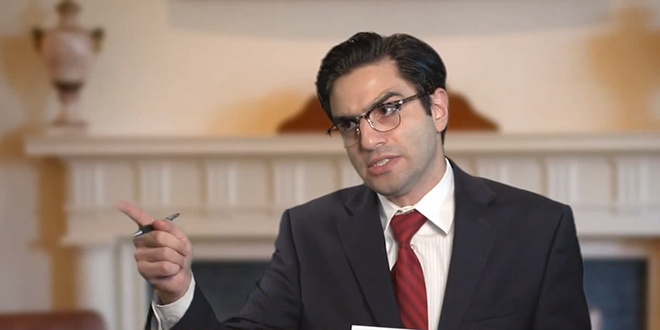 Reason.com‘s comedian extraordinaire Remy Munasifi has released a hilarious new song parody called “Don’t Tell ‘Em” that artfully takes apart the Jonathan Gruber Obamacare scandal (now affectionately known as #Grubergate). Gruber, an MIT professor of economics and Obamacare’s chief architect, came under fire recently after video clips surfaced showing the scholar making statements about how fraudulent means were used to pass the mammoth health care law. In the video clips, Gruber can be seen making shocking assertions like “a lack of transparency is a huge political advantage,” and that “the stupidity of the American voter” is key to Obamacare’s success. President Obama and key Democrats involved in enacting the landmark bill deny these claims. Remy’s satirical piece “Don’t Tell ‘Em,” which is based on the hit song “Don’t Tell ‘Em” by R&B singer/producer Jeremih, does a complete send-up of the dishonesty and deception employed by President Obama, his administration, and Democratic members of Congress. Frankly, it’s a strategy that the Obama administration has used for all its initiatives. Incidentally, if you need to familiarize yourself with the original Jeremih version, you can do so here.